Click on the chart below to see it “live” — find out how much YOU owe and how fast it is growing. This is a scary reality that is ticking away with ever increasing numbers. Personally, I think it has gone too far to ever fix. 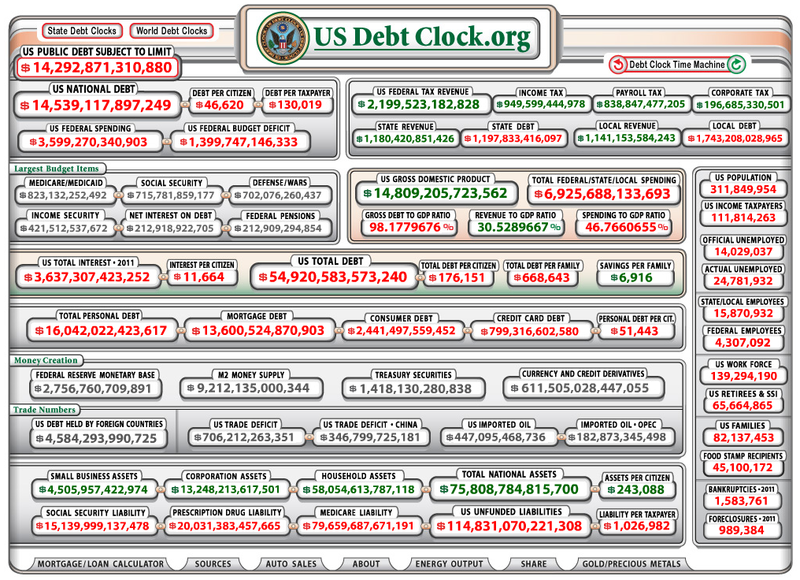 After you click on the US Debt Clock below, click here to see what $14 Trillion looks like! !